Danburite The 'Stone of the Crossing', holding an almost electric energy, Danburite work's as fast as lightning, this stone is a key to the crossing over of inner being to the world of light. 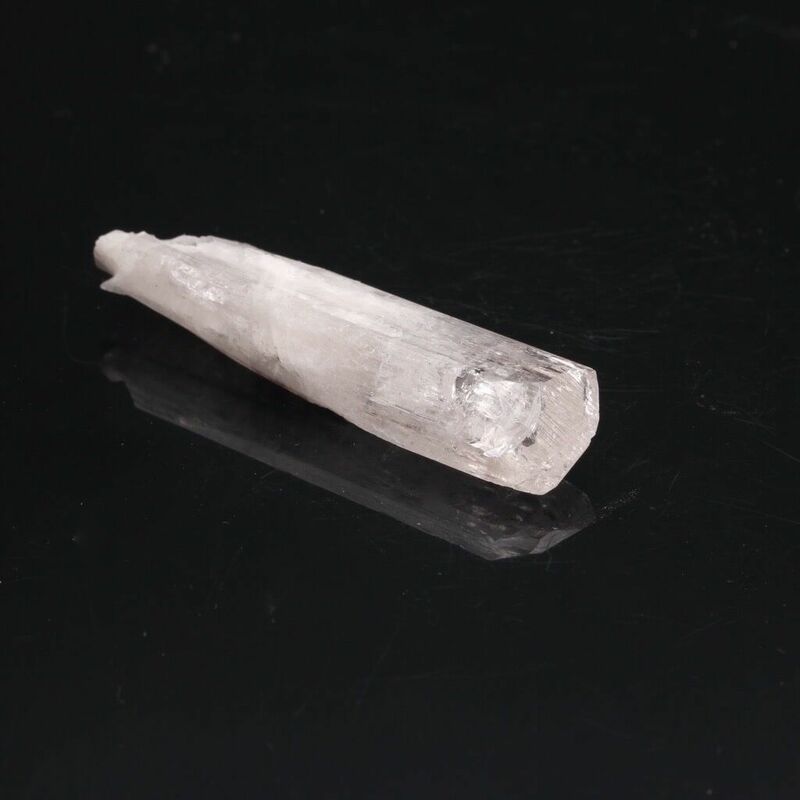 Danburite purifies any energy or auric field it comes into contact with, use this stone to cleanse a bad or heavy atmosphere, to raise the vibration in any area. Being of high vibration, Danburite will raise the vibration level of the being as well as the surrounding's, it may come as a shock of electric to some or just a sudden uplifting feeling to other's. Danburite stimulates both the inner and outer vision, the inner vision becoming stronger to psychic vision's and the outer to seeing Light being's, those such as Angelic, with the actual physical eyesight. This would most often show as sudden flashes of white light or flashes of silver light. Along with these senses, Danburite also stimulates the inner and outer hearing, the inner becoming stronger to psychic voice and sound, the outer becoming more sensitive to the sound all around, that the being often does not even notice is there, helping one to hear the beauty that is all around, not just see it. Danburite is beneficial in aligning and balancing the left and right of the body inner and outer, as well as the left and right side's of the brain. A very good stone to stimulate weakened senses all round - especially eye's and hearing as already spoken, may it be physical or not, Danburite will work many wonder's. Danburite can be placed near areas of sleeping if one wishes to gain enlightened insight during dream state - however this is not to be done to often as Danburite is powerful and one must stay balanced throughout all use with such a stone. One shall be able connect with all "Colour's of the Ray" with Danburite, create the focus and the stone shall work with you. Danburite is a Key to enter the Heaven's, but one must also have Key to fully exit them, grounding is that Key - always have another opposite low vibration stone as your Key of Grounding, or have a grounding practice.